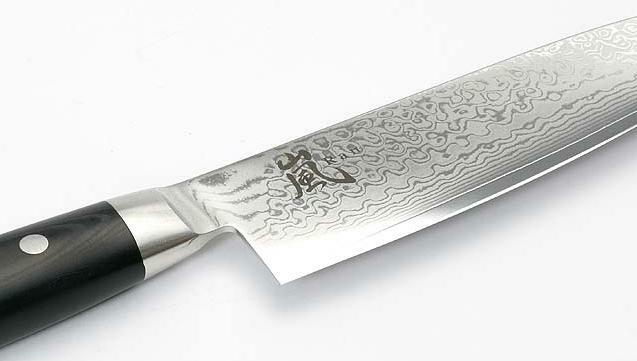 Ran Damascus chef's knife, the blade length is 20cm. 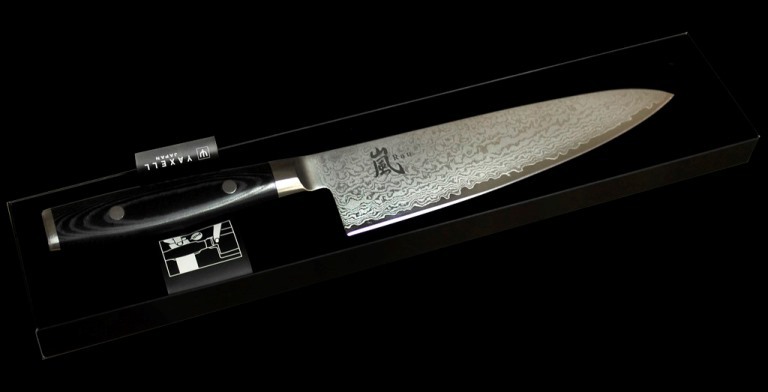 Ran Japanese Damascus have traditionally been made ​​by forging. 69-storey knife on both sides of the frame is forged from 34 layers of molybdenum-vanadium steel. Blades represent one of the finest steel and the hardness of the metal blades are on a scale of Rockwell C57-61. 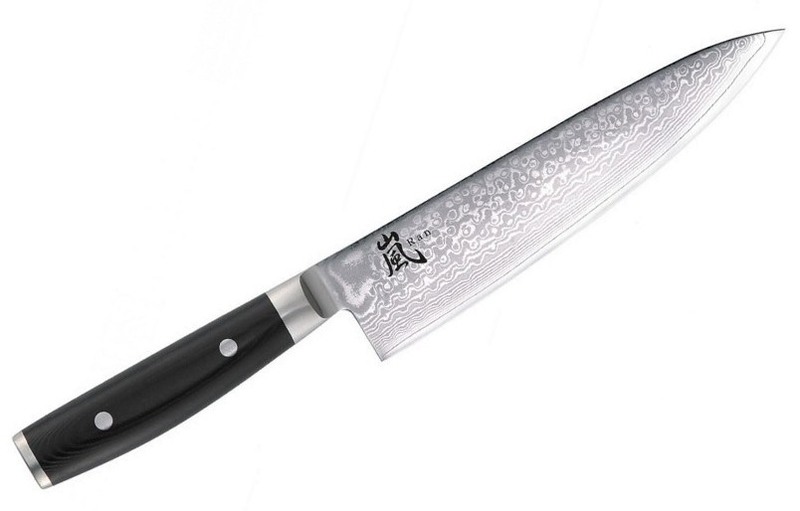 The handle material is Micarta, or laminated fabric. Micarta is a wood-looking and the touch, but considerably more moisture resistant. 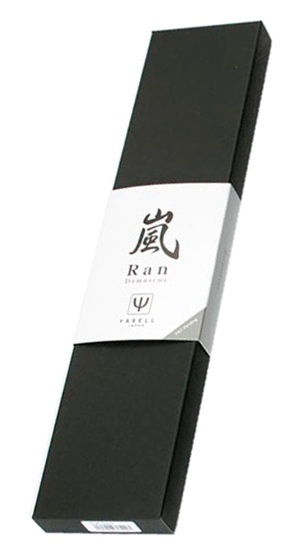 Ran knives are packaged in elegant gift boxes. 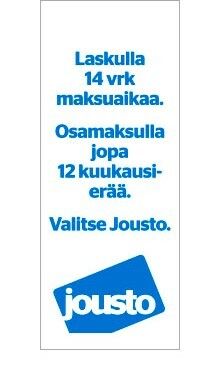 All knives only for hand washing!